Samsung finally unveiled a smart speaker. 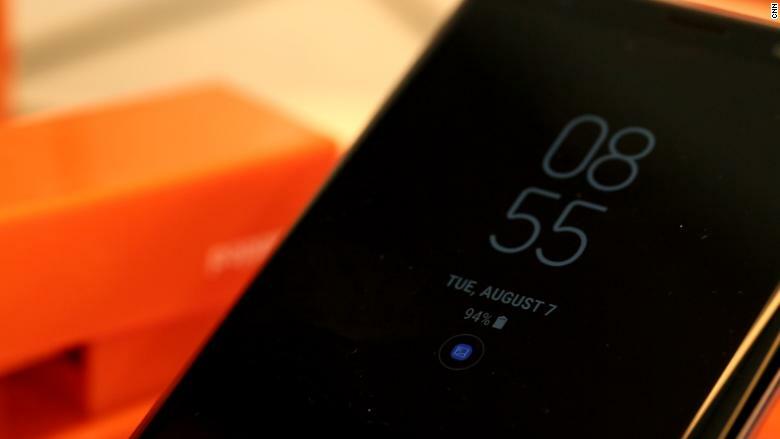 It's called the Galaxy Home, and the South Korean tech giant offered the briefest glimpse of it Thursday while launching the Galaxy Note 9 smartphone. It looks a bit like an outdoor grill. Or a cauldron. 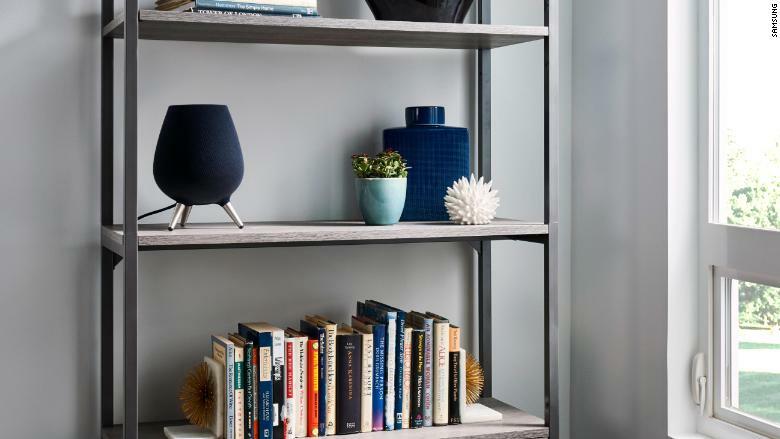 The Galaxy Home joins a crowded market of voice-activated speakers from the likes of Amazon (AMZN), Google (GOOG) and Apple (AAPL). Amazon pioneered the category with its first Echo device in 2014, so Samsung is definitely playing catch up. Samsung didn't say much about the device beyond touting a "Sound Steer" tool that optimizes sound based on where you are in the room. As with competing smart speakers, users wake the speaker and request a song with a simple trigger phrase, in this case, "Hey Bixby." With its rounded sides, flat top and three skinny silver legs, it drew some jokes on social media, where people said it looks like something Harry Potter might use or Weber might sell. No one at Samsung would say what the Galaxy Home might cost, when it might be available, or even what it will do for you. Answers to those questions will provide some indication of just how big a challenge Samsung faces catching up to Amazon and Google, which rule the roost. "It's very late to the smart speaker market. Even later than Apple was," said Jitesh Ubrani, senior research analyst at market intelligence firm IDC. Apple released the HomePod earlier this year. Justin Denison, SVP and general manager of Samsung Electronics America, told CNNMoney smart speakers are a "natural fit" for the company, given its investments in connected cars, premium audio, artificial intelligence and the Internet of Things. While Denison wouldn't discuss the company's strategy with the Galaxy Home, he did say it will provide exceptional sound. "We believe people want a premium audio experience and they want that to be intelligent as well," he added. That explains why the Galaxy Home supports Spotify. And the company clearly hopes to draw buyers away from Apple, which has made premium sound a selling point of its smart speaker. But analysts say Galaxy Home's success hinges on Bixby getting better. Samsung's voice assistant has notoriously lacked the capabilities of its more established rivals, Alexa, Siri, and Google Assistant. "Bixby has to bring Galaxy Home something really disruptive and cool that Alexa or Google Assistant doesn't have," said Werner Goertz, a research director at Gartner who covers personal devices. "It's the use cases that will differentiate it." Samsung (SSNLF) showed off some of Bixby's new abilities, such as being able to have a conversation with you, but that only highlighted how far behind it is. "A lot of the features they showed off on Bixby today, Google Assistant and Alexa have been able to do for the past year, if not longer," said IDC's Ubrani. Urbani also questions Samsung's offering a premium product, given that the demand for such a thing is small. Many people are happy spending as little as $50 for a smart speaker from Amazon or Google. That said, Samsung has a few things going for it. It's one of the largest electronics companies in the world, it has a reputation for quality, and the Galaxy Home's unique styling sets it apart, said Patrick Moorhead, president of Moor Insights and Strategy. And Bixby could still catch up. "I'm keeping an open mind on Bixby," he said.